​1t happens hundreds of times each day – a customer receives information from us – but each interaction is unique. It’s just a moment in time – just one hand reaching out to present information about solving a financial problem to another outstretched hand. We make sure everything we do honors that connection – from our commitment to the highest quality service in the world, to the way we engage with our customers and communities to do business with responsibility . From our beginnings over thirty years ago, in every place that we’ve been, and every place that we touch, we've tried to make it a little better than we found it by providing financial solutions to our clients..
Commercial Capital Worldwide Funding, Inc., d/b/a www.kwikcashsolution.com is an financial company that deals primarily in providing financial solutions to the business community in a timely manner. Commercial Capital Worldwide Funding, Inc. specializes in commercial financial products, supplemental and alternative financial products. Our purpose is to enable individuals and businesses to manage financial risk by solving financial problems. We provide financial products and services tailored to meet the specific and ever-changing financial risk exposures facing our customers. We build value for our investors through the strength of our customers' satisfaction and by consistently producing superior operating results. We strive to be the acknowledged global leader and preferred partner in helping our clients succeed in the world's rapidly evolving financial markets. Commercial Capital Worldwide Funding, Inc., is leading financial company specializing in business loans, commercial bridge loans for acquisition, construction, land, development, workouts, bankruptcies and foreclosures. Our creative financing expertise enables us to close on these equity-based commercial loans of $1 million to over $50 million in as little as 5 days! Commercial Capital Worldwide Funding, Inc., allows borrowers with assets to get the hard money commercial loans they need super-fast. So, no matter where in the world you do business, we make getting a hard money loan fast and easy. Commercial Capital Worldwide Funding, Inc. was started many years ago by Eugene Porter, Jr., MBA, "Retired CPA to capitalize on the commercial loan requests we were getting from our residential customers. Over the years, we have learned the nuances of the Commercial lending arena and now have the team in place to provide the great rates and flexibility of a broker with the underwriting knowledge of direct lenders. In so doing, we can fill the void between the local commercial bank with its slow approvals, rigid terms, zero follow-up and restrictive criteria and the “hard money” lenders who will give you 15%+ rates. In fact, we will help structure the deal and can often get the loan approved with banks and lenders that you would be unable to get done. Plus, we are now correspondent lenders with several national banks–which means better pricing for you and your clients; and we have access to all of the nationwide lenders and direct conduits to Wall Street money. As the numbers of deals we do grow, and the database of lenders that respect our underwriting grows, our ability to provide truly the finest service and terms available is reaching new highs. "Bankable Terms For Un-bankable Borrows"
Type: Loans for borrower with credit score at than 630(580) minimum. 1. Income Verification: Stated income, no tax returns required for approval. 2. Closing time Frame: 2 to 4 weeks from letter of Interest signing with timely receipts of documents. 3. DSCR: 1-2 x 1.25x, partial occupancy is okay as long as minimum DSCR is attained. 5. Subordinate Financing: Allowed up to 80% cumulative loan to value. 6. Escrow: Required For Property tax and insurance. 7. Submission: 1003, Tri-Merge FICO , property operating statement (if investment) or business P & L (if business occupied. Loans given to existing businesses, primarily based on the cash flow of the business. Personal credit score cannot be below 550. Client must not have too many NSF's in business bank account, must have at least 5 monthly deposits and maintain a balance. A suite of products for people who have money saved in retirement accounts (401k, IRA, etc). These programs allow people to use these funds for business or investing purposes without the tax penalties. Typically must have at least $35k saved in an eligible retirement account, however we do recommend that you send anyone interested in not matter what their retirement assets amount to. This program contains up front fees. Business credit cards, in the business name and they do not show up on the personal credit of the guarantor. Can be done using a business partners credit if the main business owner does not qualify. Clients obtain equipment leases. Works for a broad variety of equipment, and even potentially can go towards an store remodel. Typically must have at least $35k saved in an eligible retirement account. This program contains up front fees. Clients obtain funding through crowd funding websites such as kickstarter.com. The best benefit of this program is that you do not have to pay back the money you receive from your investors. You must be willing to publicly discuss your business, and be able to create rewards or compensation for your investors. This program contains up front expenses. A low interest loan from a bank or a non bank lender with some collateral provided in the form of a government guarantee. Ranges from $300k to $5mm. Typically 5 to 7 year loans from 6% to 7% interest. Must have good business history and cash flow, good biz-owner credit, and some down payment and good collateral. Only acceptable starts are franchises on the SBA approved list. Good personal and business credit (if any). Good cash flow required (projections for franchise startups). Good household income helps. Collateral helps, though not required. Works for almost any industry or situation. Most companies save from 25% to 50% on their monthly fees. Was your loan denied because of credit, income, employment or slow closing? Do not fret, we have conventional financing options? We do conventional financing and A-Paper fallout! 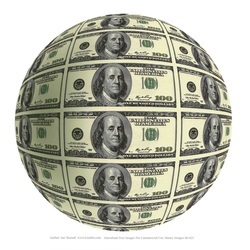 Commercial Capital Worldwide Funding is your funding source for all your commercial needs. Our funding sources are setting on way too much money and need to place it quickly with good loans. Why choose Commercial Capital Worldwide Funding? * Foreign Nationals - OK! * We offer conventional and Subprime product - up to 80% LTV available! * Professional, experienced and results-oriented service! Hard Money Residential & Commercial PRICING!! *Pricing below 2 points must have a 2 yr. Prepay. **Can be bought down to 1 year for 25bps to rate***NO add –on for no pre-pay on O/O consumer transactions. Non Fannie/Freddie approved condo projects – OK!